Our Boxer Maintenance team are qualified horticultural professionals that are able to tend to all of your garden requirements. How we operate: A member of our friendly team will attend your property at a convenient time to suit you. We all wear Boxer Maintenance uniforms along with ID badges. Our brochure provides you with our catalogue of services. We’ll either meet at your property or call to discuss your requirements, budget, and materials. We’ll listen to your ideas and then use our professional experience to see how we can enhance your ideas, whilst remaining within budget. Once we have an idea what you are looking for and your budget, we’ll send over your quotation. A full summary will be written up to state the design, materials used, potential start and completion dates. 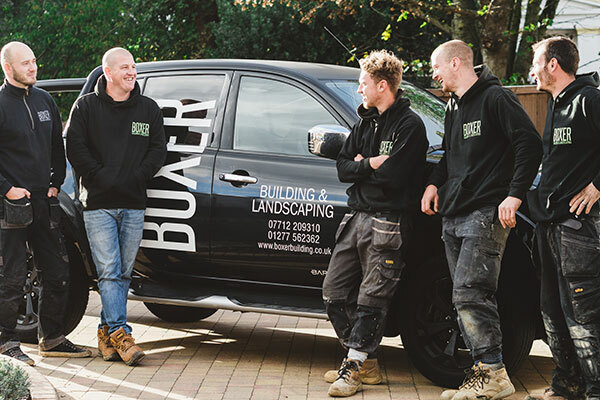 Boxer Building and Landscaping always aim’s to complete your work within the timescale specified and with minimal disruption to your daily routine. All of our maintenance services use quality products and equipment. We will meet you to discuss your plans and advise of any issues that may arise and the best way to work around them or support them.